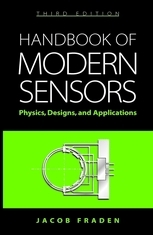 Unlike other books on sensors, this book is organized according to the measured variables (temperature, pressure, position, etc.) that make it much more practical and easier to read. In this new edition recent ideas and developments have been added while less important and non-essential designs were dropped. Sections on practical designs and use of the modern micro-machining technologies have been revised substantially. This book is a reference text that can be used by students, researchers interested in modern instrumentation (applied physicists and engineers), sensor designers, application engineers and technicians whose job it is to understand, select and/or design sensors for practical systems. The scope of this book is rather broad covering many different designs. Some are well known, but describing them is still useful for students and those who look for a convenient reference. It is the author’s intention to present a comprehensive and up-to-date account of the theory (physical principles), design, and practical implementations of various sensors for scientific, industrial, and consumer applications.